All brides and grooms want their wedding guests to enjoy themselves throughout their big day. From the ceremony to the reception, couples spend months of planning to ensure that their guests are happy with their food and seating arrangements to having a night of fun away from home. When my husband and I were planning our wedding, we knew we wanted our reception to feel like a big party because what’s more fun and memorable than a giant get-together with friends and family? And, what party isn’t complete with a variety of upbeat, fun music?! Well, to say we achieved our vision of a fun and unforgettable wedding reception is an understatement – from the time the dance floor opened to the time the reception was shut down, our guests were on the dance floor enjoying all the music pumping through the speakers. It can be a daunting thought and task for couples looking to hire the perfect DJ or band to ensure that their guests are grooving to the music at the reception instead of sitting in their seats. 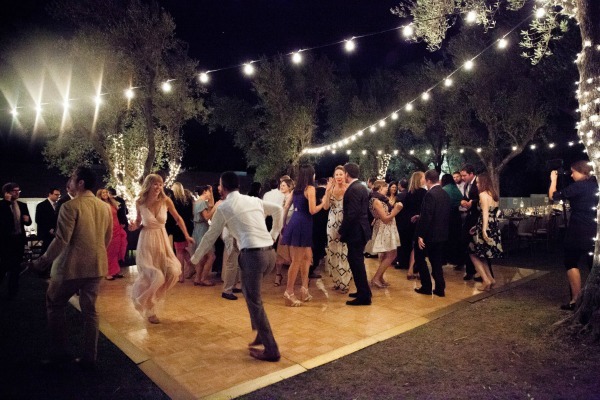 Use this advice and tips to help ensure that your guests are on the dance floor all night long. The DJ or band that you choose to hire for your wedding reception is a crucial factor in determining the tone of your reception. Before settling on who to hire, have an in-person meeting or phone consultation to discuss your tastes in music, any specialties or skills that the individual may have that sets them apart from others, and how they plan to help get your guests on the dance floor. If you have a wedding website for guests to view, include a tab for guests to submit song requests. This is a relatively easy and non-time consuming way to easily compile a list of songs that guests want to hear. Include the name of who requested each song, and have the DJ or band do a shout-out over the microphone to that guest when the song is about to be played. A DJ or band can get overwhelmed with guests coming up to them constantly throughout the night to request songs. To help minimize distractions to who is providing the tunes, include slips of paper and pens on each table at the reception for guests to write down requests and place them in a cup or jar on the DJ’s booth or band’s stage. This way, guests can still request the music that they want to hear, and the DJ or band can look at and choose requested songs at their own pace. Nobody knows your guests and what gets them to have fun better than you do. If you want complete control over the type of music played and specific songs that you want to hear at the reception, gather your bridal party and create specific playlists for each genre of music that you want to hear (pop, country, dance, etc.) Specifically request that your DJ or band stick to the songs listed. Guests can’t help but get out of their seats when popular group dance songs, such as the Cha Cha Slide, Cupid Shuffle or Shout, come on at a wedding reception. Make sure that your DJ or band includes songs such as these in their playlist and that they are appropriately spaced throughout the night. Other crowd pleasers include Don’t Stop Believin’ by Journey, Sweet Caroline by Neil Diamond and American Pie by Don McLean. 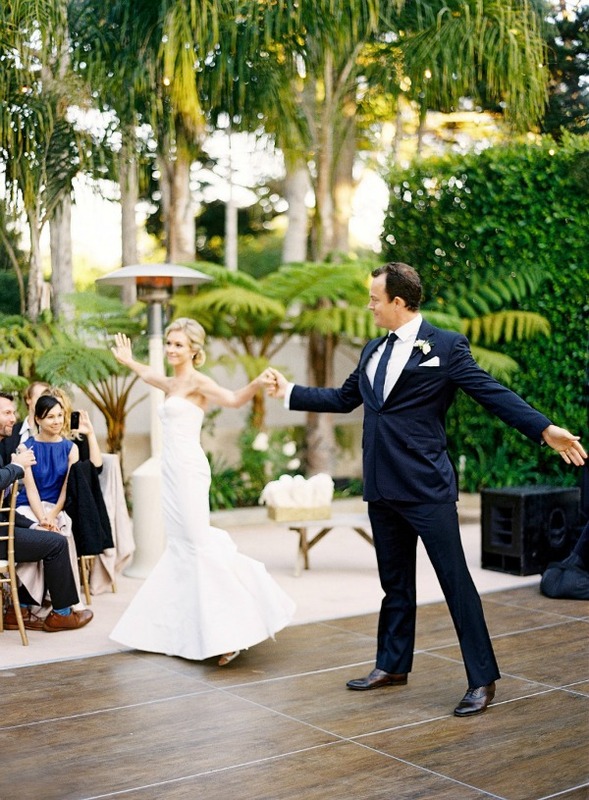 If all else fails, the best way to get your guests on the dance floor is to ask! Rarely will guests say no to the bride and groom as it’s a fun opportunity to spend time with the newlywed couple. For all our readers: what is your favorite song(s) to hear at a wedding reception that are guaranteed to get you on the dance floor?